I have a couple of things to share today. 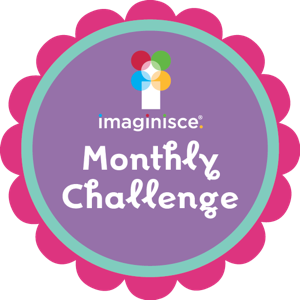 It's time for the new Monthly Challenge at Imaginisce! 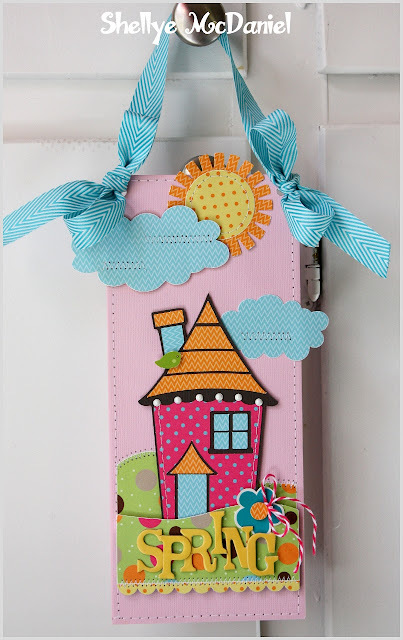 We want to challenge you to use patterned papers & embellishments to create a paper pieced design/project. 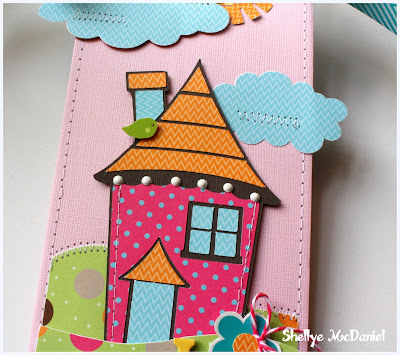 You can use your die-cut machines, hand-drawn images, stamps, punches, etc. You must use at least 75% Imaginisce product. Upload your entry HERE using the link tool. an i-top 2.0 tool & accessories! I also used chevron ribbon from May Arts, of which the ends I cut using the I-Magicut from Imaginisce. The base of the hanger? a legal letter envelope from Bazzill! 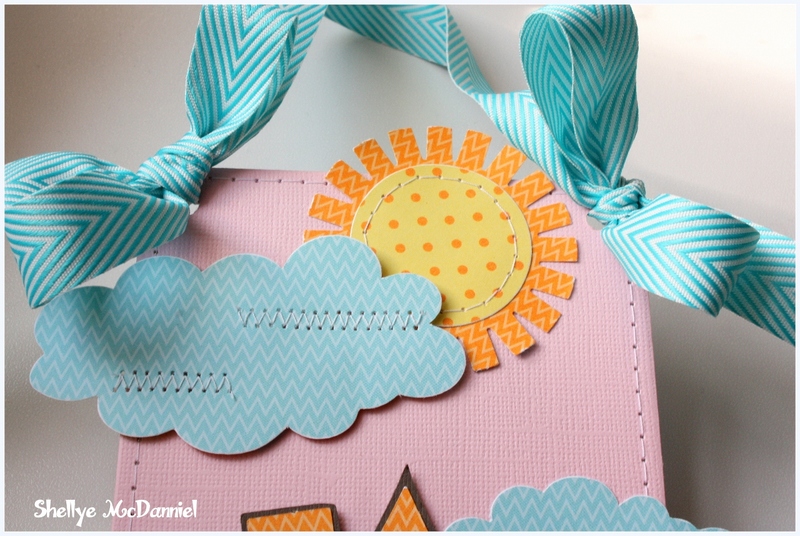 I just inserted a sheet of chipboard into the envelope and machine stitch around the perimeter to increase the stability! 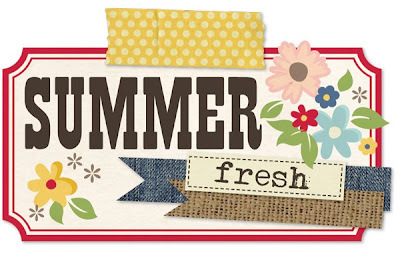 Come on over to Imaginisce Blog and link up with us this month! 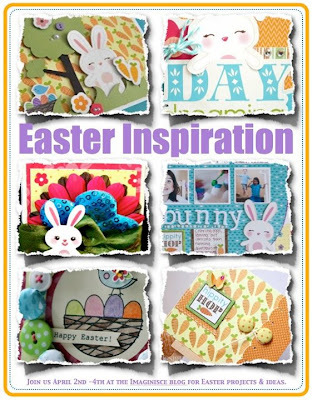 This week is Easter Inspiration Week as well at Imaginisce. 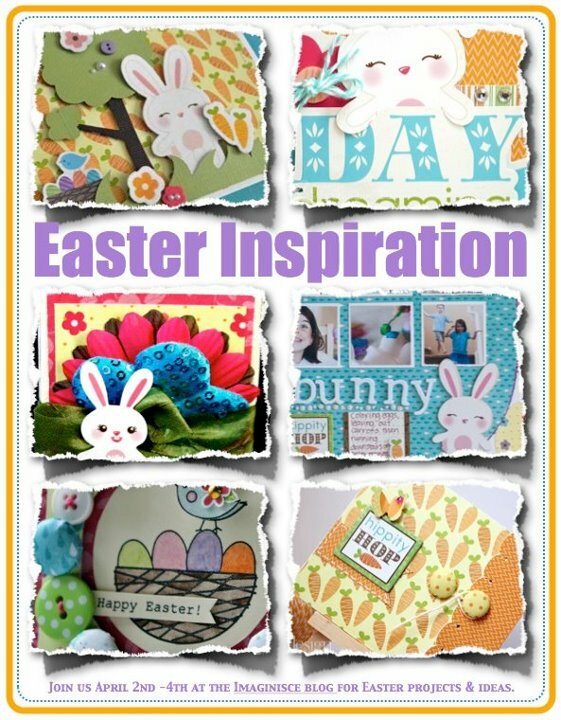 My card (shown bottom left corner) will be up tomorrow! Gingham, calico, denim and dots...who could ask for more? coordinating cardstock stickers, journaling cards, 6x6 pads and clear overlays! 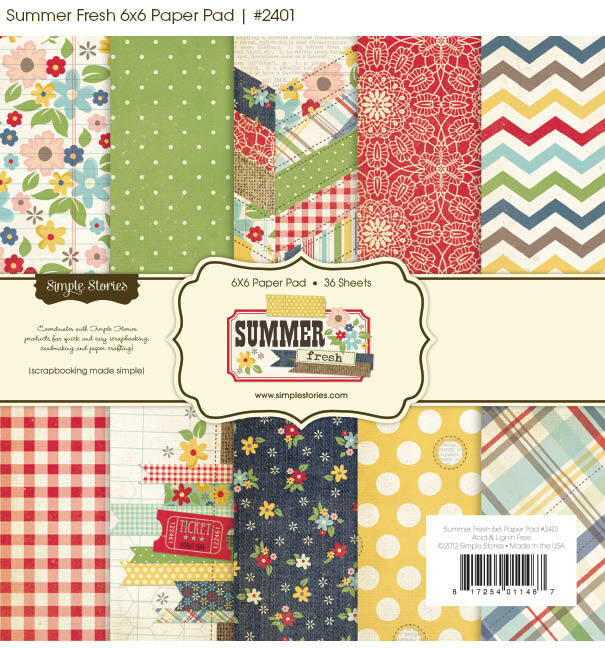 See the entire line right here at Simple Stories! Off to work on a couple of projects. Oh my goodness, how cute is that little door hanger. What an adorable project. The new line looks so playful. I'll have to keep my eye out for it at the LSS. 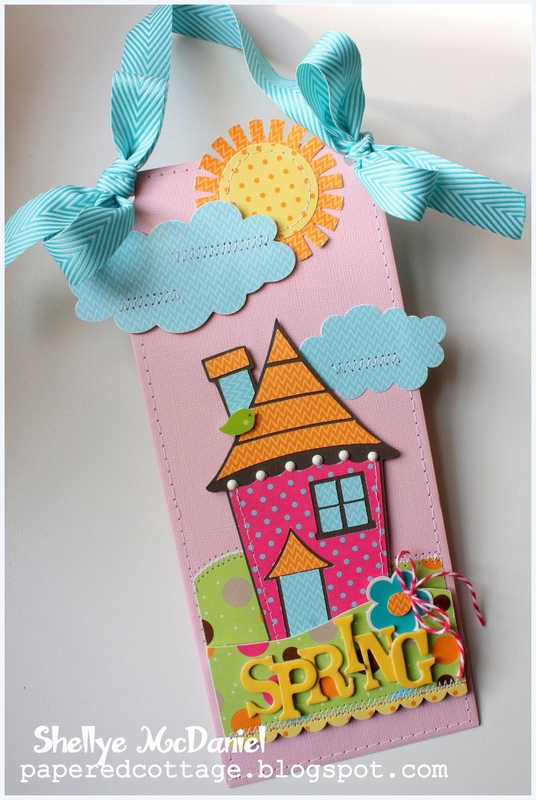 I adore your pieced together house - the door hanger is so fresh and beautiful! !